For most people the New Year starts on January 1st, but a far north yak herder’s New Year starts when the first calves hit the ground. At the Circle F Ranch this year, that happened on February 25th. When I went out to check the yak cows one beautiful early summer morning in 2013, and found our herd bull, Teddy, in with them I knew without a doubt that “Happy Yak New Year 2014” was going to be very, very early. The best laid plans of mice and men…or in this case, yak herders…. So begins long days of looking at the south side of each expecting cow once or twice a day, trying to determine whose been naughty or nice. (It’s an undisputed fact that yak cows always face their tails toward the south very late in parturition, which tends makes my job much easier, until I realize that MY yaks are not aware of this interesting fact and face their tails alternately to the north, east, and west for no particular reason.) I do have my suspicions though, about who is due when and discretely follow those shy gals around, trying my best to get a peek at what does or does not lay behind that full and flowing tail. Mostly I’m looking for a “ripe udder” but most days I have to rely on attitude, eye contact (or lack of it) and attendance. If someone is MIA it’s a good bet she’s headed to parts unknown to do her business without my prying eyes and best intentions invading, what to her, is a very private affair. I am thoroughly convinced that they all conspire against me and take turns feigning labor just to laugh at me behind my back as I doggedly trail after first one and then another soon-to-be, or more likely than not, soon-NOT-to-be, yak mom. My yak herder intuition has gotten better over the years and while I can often tell when I’m being played the fool, those girls keep coming up with new scenarios in an attempt to win the game of “stump the yak herder.” I won’t give up though, because one of these days I know I’m going to win! 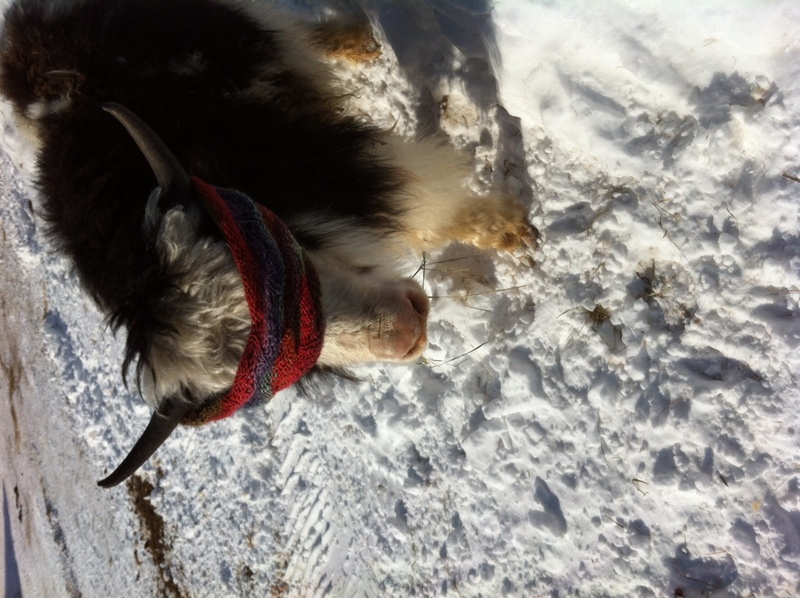 In the meantime, I’m donning my parka and boots at 6am and heading out with my headlamp to enjoy yet another day in the life of a far north yak herder…. Calving season is in full swing here at the ranch. We have nine on the ground so far and many more due in the next two or three months. Here’s some pictures of our new moms and babies. 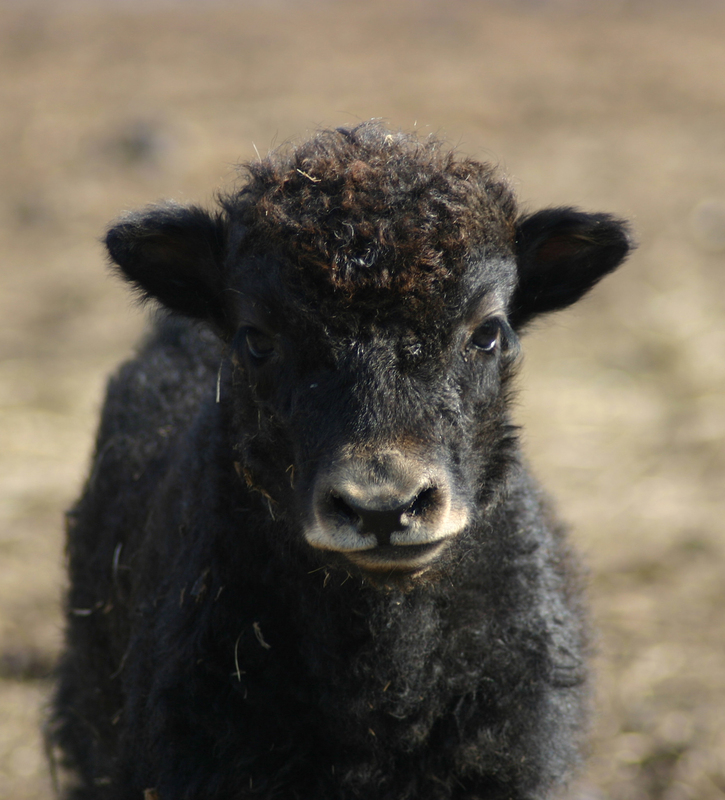 2012 Calving Season is Upon Us! Wow! It’s been a year. Yak-keeping keeps me too busy sometimes to keep up with my “yakking” here on the blog. 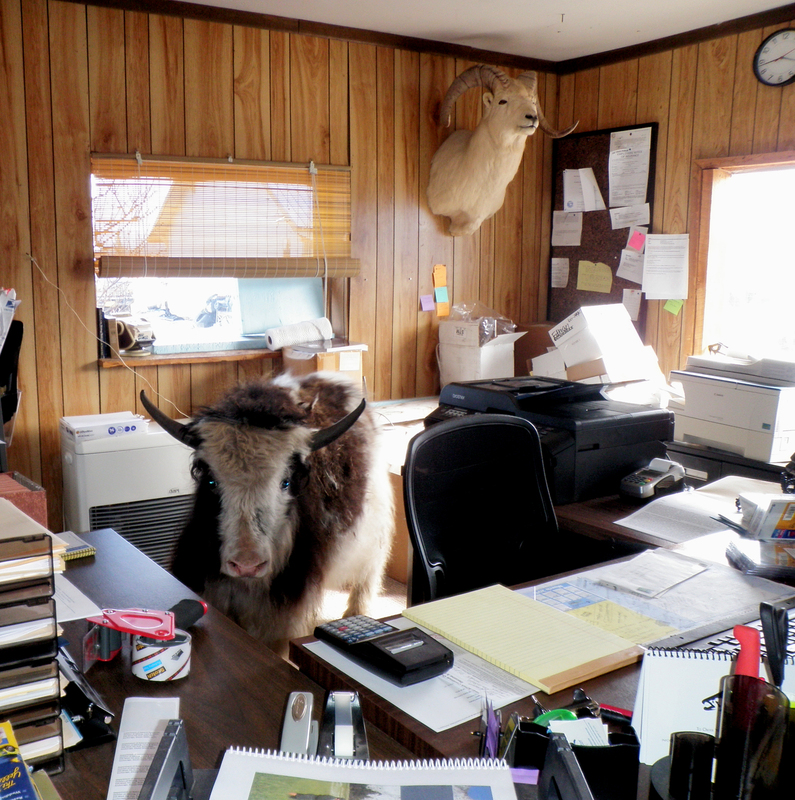 It has been a pretty uneventful year here at Alaska Yaks. The regular ups and downs. Haying season came and went with a good return. We bought a large amount of hay from Scott Plagerman Farms at Delta Junction. Winter is nearing its end (well, officially it IS spring) and we have lots and lots of snow, like most places in Alaska this year! We started something new last summer that needs updating. 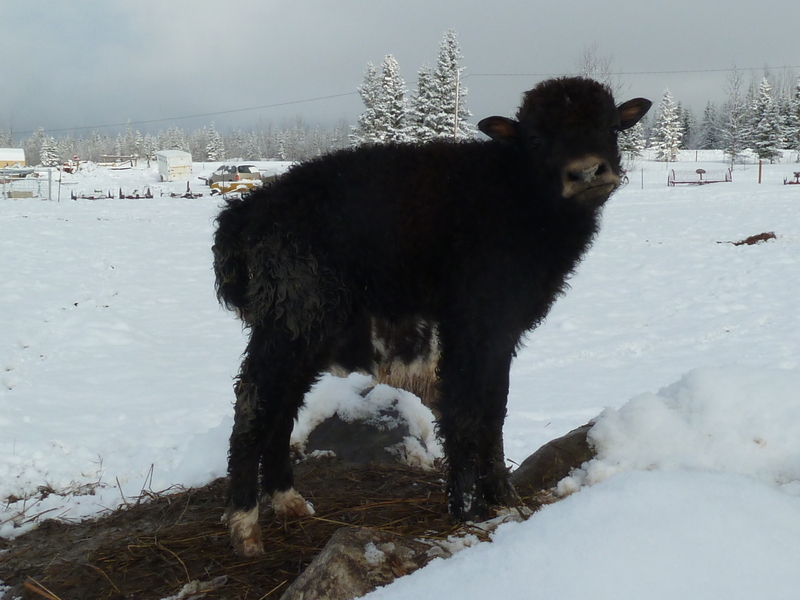 We donated our first yak calf to a worthy 4H’er in August 2011. 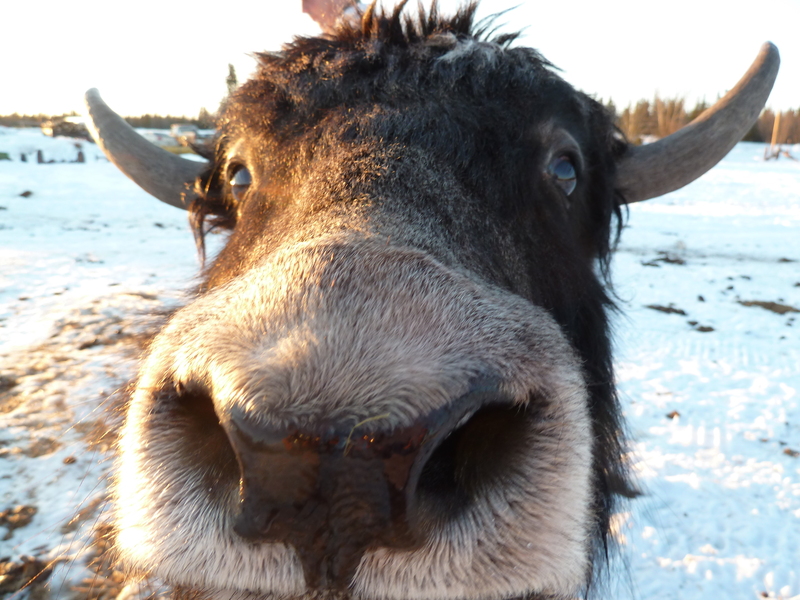 Laurel lives on the Kenai Peninsula and sent an email to IYAK asking about yaks and they put us in touch with us. We decided after corresponding with her a bit that we would make the offer of the yak calf for her 4-H project. Her only requirements were an essay detailing why she wanted a yak and how she would care for it and her plans for 4H. If she was chosen to receive the yak then she’d be required to send us semi monthly updates on how the yak was doing and what she was doing with her. She fulfilled the essay part with flying colors and we made arrangements to drive the yak (Yolanda) to Palmer to meet Laurel and her family. What a wonderful experience for us to help a young 4H’er get started with large livestock and especially with something as great as yaks. We’ll be chronicling Laurels achievements with Yolanda and 4H so stay tuned. 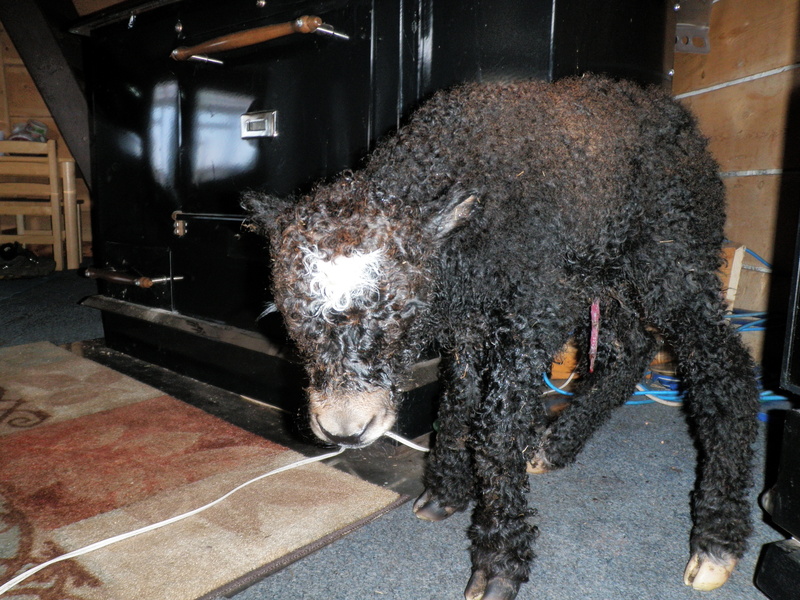 …now back to this year’s calvings…. ….we are up to seven with our newest one born last night to Weasel. A pretty little heifer calf, all black with a gray nose! Pictures to follow. Comments Off on 2012 Calving Season is Upon Us! Welcome to our newest yak baby! This little guy was born this afternoon and is now safely fed and bedded down in, of all places, my kitchen! Our Yak cow Gotty, gave birth this afternoon to a whopping big bull calf. He’s eating well and doing great! Since we’ve had several folks put in orders for calves this year, this little guy will be bottle raised in preparation for his new home. If he’s anything like his two older brothers he’s going to be one friendly little guy and BIG! Little Briony is now almost one month old and boy is she a cutie! We have a new baby at the ranch! Endorra gave birth this morning to a very large healthy bull calf. Mom and baby are doing great! Sometimes yaks are just too funny! Circle F Ranch welcomes Briony! Our newest yak calf, born on March 27th to one of our yak heifers, Jenny M.
Jenny’s a first time mom and as is sometimes the case, she wasn’t quite prepared for motherhood. I ended up having to spirit her newborn away as Jenny just didn’t really know what was required of her (other than standing there and admiring her new calf) and the temperature was a chilly twenty degrees Fahrenheit.